Each year for the last three years I’ve created a chart summarizing the main features of the biggest airline and hotel loyalty programs that operate in the United States. My goal is to provide a quick comparison guide for those new to frequent travel, or who never quite understood what they were getting/giving up by choosing a certain program. You can view the complete posts I wrote about comparing airline loyalty programs and hotel loyalty programs at the beginning of 2015. Here’s a sample comparison of airline loyalty programs, looking only at the top tier. There have been some big changes this year with the announcement of a new American AAdvantage program and the pending acquisition of Starwood Preferred Guest. I’ll keep SPG on the chart for now since I don’t think we’ll see it disappear until 2017. However, I also want to take the time now — in advance — to ask readers what they think is most useful or helpful in these comparisons. Here’s what’s going through my head right now. Feel free to add to or criticize any of these ideas, but please comment by the end of the week. I’ll likely work on this over the Christmas holiday. I focus on airline loyalty programs that have a more traditional rewards structure. It’s difficult to compare the elite benefits of Southwest Airlines and American Airlines when Southwest doesn’t even have a first class cabin or charge for checked bags. This doesn’t mean Southwest Rapid Rewards is inferior; a comparison using those criteria just isn’t relevant. I usually compare similar tiers across multiple programs in each chart. Would you prefer that I focus on all the tiers of one program instead? What’s the best way of distributing these charts? I usually put an image in the post and provide a downloadable PDF. Is there any other way I should consider? I think fee information is very important. Even if you don’t do a lot of paid travel, there are some ways to get elite status through manufactured spend. Fee waivers can make it easier to book/change/cancel award tickets. 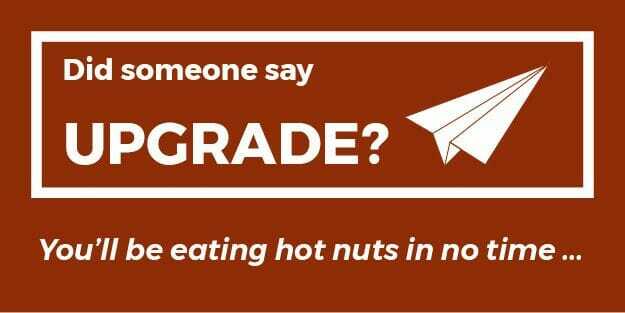 Lots of people have questions about upgrades. I include the number and restrictions for both hotels and airlines when it comes to confirmed upgrades. What, if anything, can I do to describe complimentary upgrade policies? How important is it to describe award cost and availability for both airlines and hotels? This varies a lot between programs and is sometimes more meaningful than how many miles or points you can earn. The problem is that I’m not sure I can easily summarize this. Suggestions are welcome. My general rule is that “benefits” must be clearly defined. It’s possible that people may have experiences that go above and beyond the published benefits of a program. However, I have no way of substantiating that. I’d much rather point to the program rules and say, “this is what you’re promised.” Am I taking this too far?